June 29, 2018, Greenhill, Pictou County, Nova Scotia . 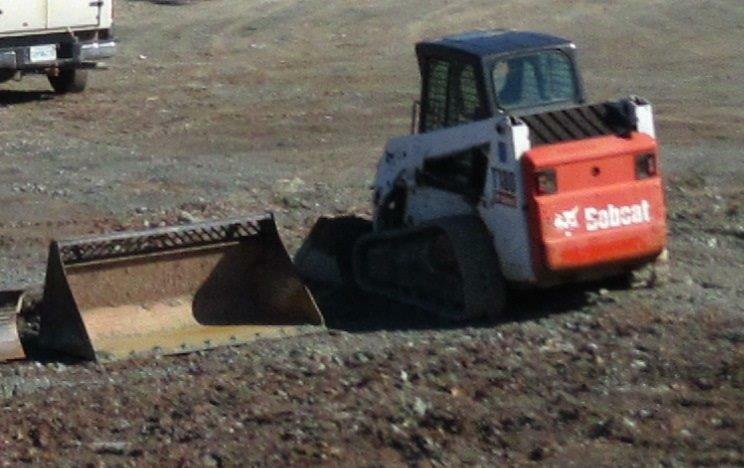 . . At approximately 9 pm on June 19, 2018, Pictou County District RCMP responded to a theft complaint of a 2012 Bobcat Skid Steer from a work site in Greenhill. The Bobcat had been parked at a construction site and was observed by a witness being loaded onto a trailer towed by a dark colored Ford truck at approximately 9 pm. on June 19. The Bobcat is white in color and the model number is T180. It bears serial number A3LL37181 and is valued at approximately $30,000. The RCMP is asking anyone who has information or may have witnessed this incident to please call 902 893 6820 or 1-800-803-RCMP (7267). Should you wish to remain anonymous call Nova Scotia Crime Stoppers toll free at 1-800-222-TIPS (8477), submit a secure web tip at www.crimestoppers.ns.ca, or use the P3 Tips App.